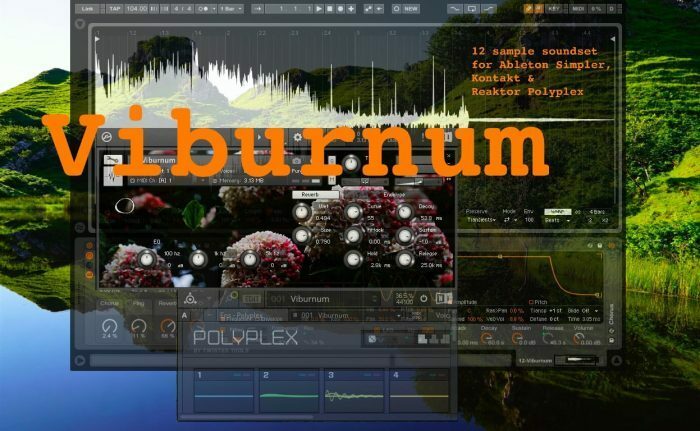 Flintpope has announced the release of Viburnum, a collection of twelve evolving soundscapes for Ableton Live, Kontakt and Reaktor Polyplex. POLYPLEX by Twisted Tools is an AMAZING eight-part polyphonic experimental drum instrument for Native Instrument’s REAKTOR that ships with eighteen sound effects and hundreds of samples. Now, I love a drum-box as much as anyone but as an original cast-member of STOMP for nine years I have to say I have rather had it with percussion: I decided to do something else with their extremely versatile piece of kit. Twisted Tools have loaded a LOT of sounds that aren’t anything to do with the person who used to sit at the back and hit things. So I layered and tweaked their ONE SHOT/AMBIENCE selection to create twelve intriguingly lush, evolving sounds that work as experimental pads, ambience or soundscapes, depending on your preference. Then I played them into Ableton to make a SIMPLER set of 12 racks including FX and tricks. Ditto KONTAKT. 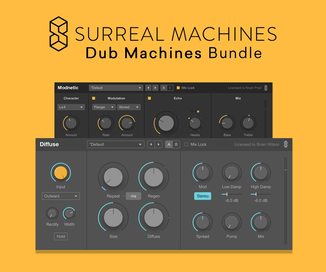 As well as these two versions you also get the original 12 sets of sounds laid out in POLYPLEX, AND an entirely new Polyplex set of 12 pads/glitchers created from these Ableton samples. You’ll need Ableton Live 9.5 Intro, or Kontakt 5 or Reaktor 5/6 with Polyplex (demo version at link above). 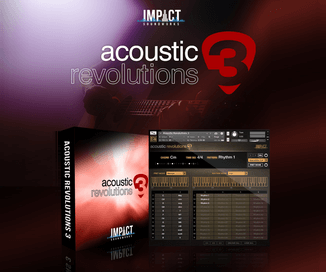 Please note that these sets will time-out in the free Reaktor and Kontakt players but no such limitations apply with the full versions. Have fun. Why “Viburnum”? This plant has so many coolly named varieties I didn’t have to think up any new names for the presets. “Euphorbia” coming soon! 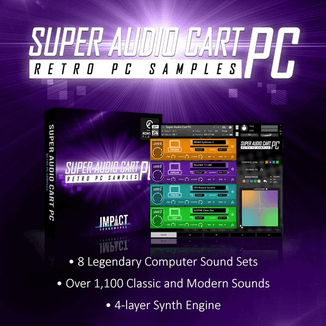 The sound pack is available at any price you like, including free. You can also support Flintpope at Patreon for as little as $1 USD per month.